﻿﻿Scott C. Silva, attorney and owner of the Silva Law Firm, P.C., is a top-rated attorney in the State of Arizona that practices in the fields of criminal defense, DUI defense, and personal injury law. He is a sole practitioner, and former Judge Pro Tem of the Maricopa County Superior Court, who has been licensed since 1997. He handles a select number of cases and provides extremely professional and successful representation at a reasonable fee. He is preferred by clients that are looking for a highly experienced courtroom attorney and want the personalized service that other law firms may not be able to provide. Mr. Silva's courtroom experience is immense. He has personally represented clients in over 6000 cases, including over 2000 DUI cases, and over 500 bench and jury trials (this number includes cases that went to verdict or were completely dismissed by the judge during the trial or prior to the start of the trial). He has represented clients in all types of criminal cases, ranging from misdemeanors to capital murder. Mr. Silva was a featured attorney on the ABC television show State V. where he was handling a first-degree murder case, and was defense counsel in the double-murder trial known as the "Wal-Mart Murders." He has received dismissals and Not Guilty verdicts in the most serious of criminal cases, including homicide, sexual assault, aggravated assault, white collar crime, felony theft, felony drug trafficking, and more. Mr. Silva is also extremely well-versed and highly-trained in all aspects of DUI law and DUI defense. He is a member of the National College for DUI Defense and has received complete dismissals and Not Guilty verdicts in every type of DUI charge. He works with the most respected and experienced DUI criminalists in the State of Arizona and frequently calls those experts to testify in jury trials. Additionally, he is asked every year to teach other attorneys how to defend criminal and DUI cases, and is an instructor at a variety of state-wide legal conferences. Because of his extensive experience in handling cases involving vehicular accidents, Mr. Silva also devotes a part of his practice to representing people who have been injured in automobile and motorcycle accidents, through no fault of their own. Mr. Silva received his Bachelor of Arts degree in 1994 from Duke University, where he double-majored and was repeatedly named to the Dean's List. He received his law degree from the University of Arizona College of Law in 1996, where he graduated a semester early. He is admitted to practice law in the State of Arizona and the U.S. District Court of Arizona. He is a member of the American Bar Association, the National Association of Criminal Defense Lawyers (LinkedIn Group), DUI Law (LinkedIn Group), and Arizona Attorneys (LinkedIn Group). • Selected TOP FIVE criminal defense attorneys in Maricopa County by North Valley Magazine and East Valley Magazine, 2013. • AV "Preeminent" Peer Rated Attorney (highest possible rating in both legal ability and ethical standards) by Martindale-Hubbell®. 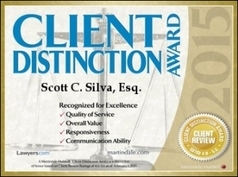 • AVVO Rated "Superb" Attorney (10.0/10.0, the highest possible rating) by AVVO.com®. • Selected "Top 100 Criminal Defense Trial Lawyers" by The National Trial Lawyers, 2018, 2017, 2016, 2015, 2014 (this is an invite-only group comprised of the most accomplished and recognized trial attorneys in the United States). • Selected "Top 100 Lawyers" by the American Society of Legal Advocates, 2018, 2017, 2016, 2015, 2014. • Selected as one of "Arizona's Finest Lawyers", 2016. • Selected "Top 10 Criminal Law Attorneys for Arizona" by the American Jurist Institute, 2016. • Awarded "Top 10 Attorney" by the National Academy of Criminal Defense Attorneys, Inc., 2017. • Awarded "Top 1% of American Professionals" by The American Registry, 2016. • Recipient of the Martindale-Hubbell Client Distinction Award, 2015, 2013 and the AVVO Client's Choice Award, 2012. • Recognized as a "Premier" trial attorney in the State of Arizona by The National Academy of Jurisprudence, 2018, 2017, 2015. 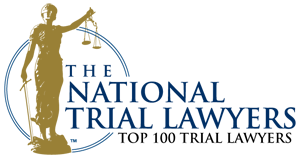 • Recognized as one of the top DUI attorneys in the State of Arizona by The National Advocacy for DUI Defense, 2016, 2015. Mr. Silva represents clients throughout Maricopa County, and has extensive experience representing people charged with felonies in Maricopa County Superior Court. He regularly appears in the city courts, such as Phoenix, Scottsdale, Tempe, Chandler, Gilbert, Mesa, El Mirage, Surprise, Youngtown, Peoria, and Glendale, Arizona. Silva Law Firm, P.C. LEGAL DISCLAIMER: The materials in this web site are not legal advice and your use of these materials does not constitute nor form an attorney/client relationship with the Silva Law Firm, P.C. Please do not send any confidential information to our office without prior authorization. Contact us personally regarding specific advice for your particular case, because there is no substitute for professional legal counsel.